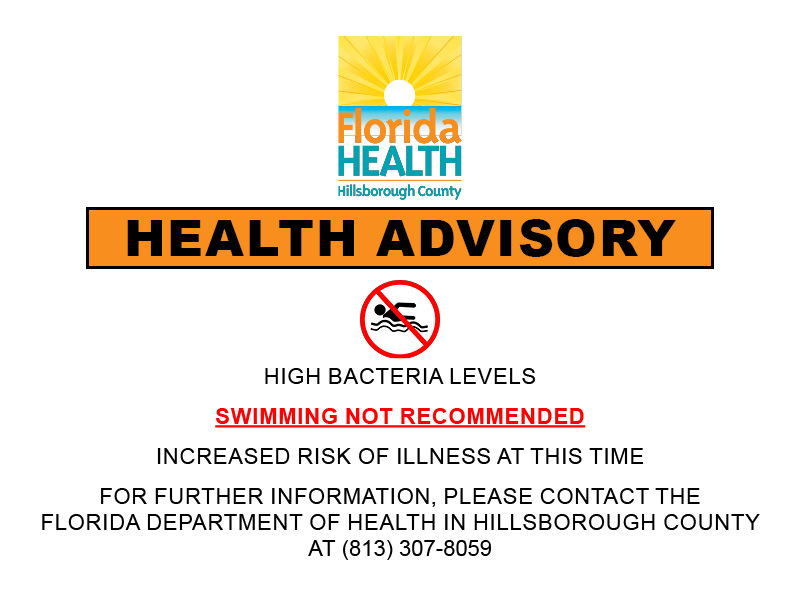 Tampa, Fla. – A Health Advisory has been issued for Picnic Island Beach based on the criteria for enterococci bacteria recommended by the Environmental Protection Agency (EPA). This should be considered a potential risk to the bathing public. Samples taken Wednesday were above threshold for enterococci bacteria. The beach will be re-sampled, Wednesday, February 13, 2019. Last week’s advisory for Bahia Beach has been rescinded.